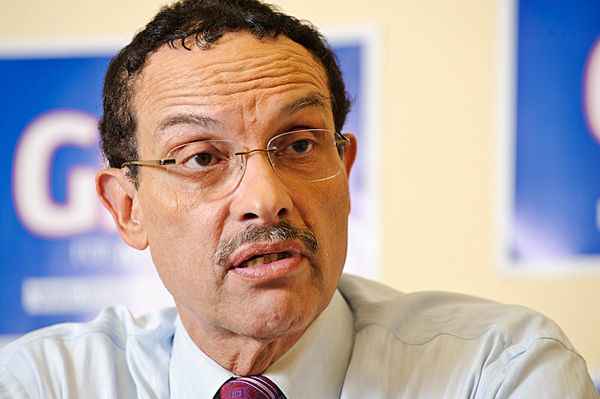 The biggest scandal out of the District these days surrounding Councilmember Harry Thomas (D – Ward 5), has definitely been a distraction for Mayor Gray, who has struggled to overcome his own allegations of unethical behavior while uniting a divided city. Initial reaction to Attorney General Irvin Nathan’s civil action suit against Thomas in early June was lukewarm. Thomas has not resigned from office and Gray has tiptoed around the issue. However, the local media and angered community members spoke out against Thomas’ misuse of city funds until there was no choice left but to address the issue head on. The federal raid on Thomas’ Northeast home last Friday and the D.C. Council’s move to enact ethics reform marks a new chapter in the Thomas ethics fiasco. As of now, there are doubts as to whether the bill will have enough support to leave the panel and go to full council, even as the call for ethics reform grows louder in the District. The core argument of those against it is that it does not cast a wide enough net for elected officials who engage in unethical activity that is often overlooked – accepting donations from corporate sponsors and spending constituent service money on sports tickets. While this argument is acceptable, one must wonder if these voices truly understand what opportunity is in front of them right now. 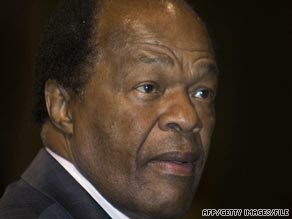 Government corruption goes hand in hand with the District of Columbia for many reasons, among them a man whom all are very familiar with: Marion Barry. Currently Ward 8 councilmember and known to residents of the District as ‘Mayor for Life,” the city has seen some of its darkest times under his leadership despite his rapport with generations of Washingtonians. Let’s not overlook a $285 million deficit in his first term in the late 1970’s and 1980’s as well as the embezzlement among members of his administration, Employment Services Director Ivanhoe Donaldson included. 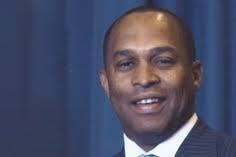 The District suffered in the wake of the crack epidemic under his watch. An avid cocaine and alcohol addict, Barry himself was a victim of the epidemic which resulted in a six month prison sentence. In the 1990’s, the District’s budget problem spiraled out of the control to the point that the newly created District of Columbia Financial Control Board took over the city’s day-to -day spending and fiances. Even as a council member, Barry continues to display questionable ethical behavior among them, backing his son, Christopher Barry, to replace him after serving two more years. Young Barry, 31, has also had run-ins with the law including charges for possession of marijuana and PCP and assaulting a police officer. the ability to talk to residents in the poorest parts of the cities as well as the corporate big wigs and government officials. His promise to bridge the gap and unite the city is in jeopardy as long as there are no mechanisms in place to check unethical behavior in the District. Scandal after scandal threaten to become big distractions that take away from the business of the people. This bill is the first step in bringing accountability back into the District. Increasing confidence in public officials is the first step in bringing the city together and creating opportunities for the underclass in the midst of the District’s economic boom. While the Council has taken steps to prevent future ethics violations, the creation of an independent ethics committee among them, more must be done to create a culture of accountability in the District of Columbia. Doing that takes digging deep within the depths of the problem to find its source. The current bill might not be what all people want but it is the FIRST step. Solving the problem in increments is the only way. Waiting until everything in the bill is ‘perfect’ only means that it may never come to be totally perfect. Not that the system is perfect now anyway.